3. Just because western media doesn’t understand how President Trump executes a geopolitical strategy based on economic leverage, that doesn’t mean adversaries are not fully aware of the effectiveness of the approach. 4. The Trump Doctrine has two avenues toward dealing with national security adversaries. 5. 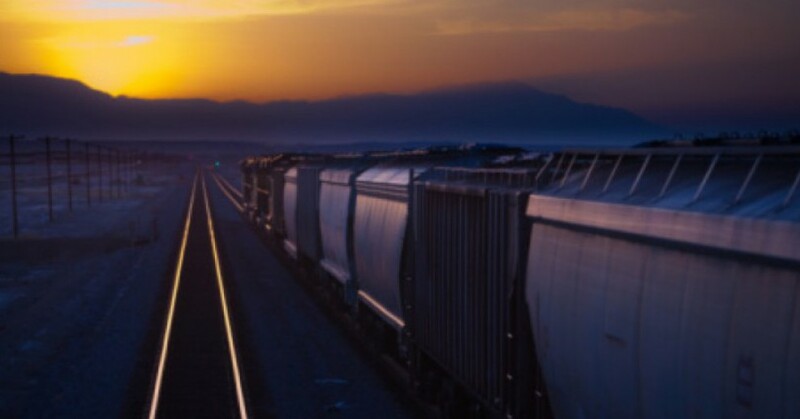 The first route is direct assignment of responsibility toward the enablers: see China for North Korea; The Gulf States for Qatar (Sunni extremism); Russia for Syrian terrorism (Assad); and Pakistan for Afghanistan (Taliban); as recent examples. 6. 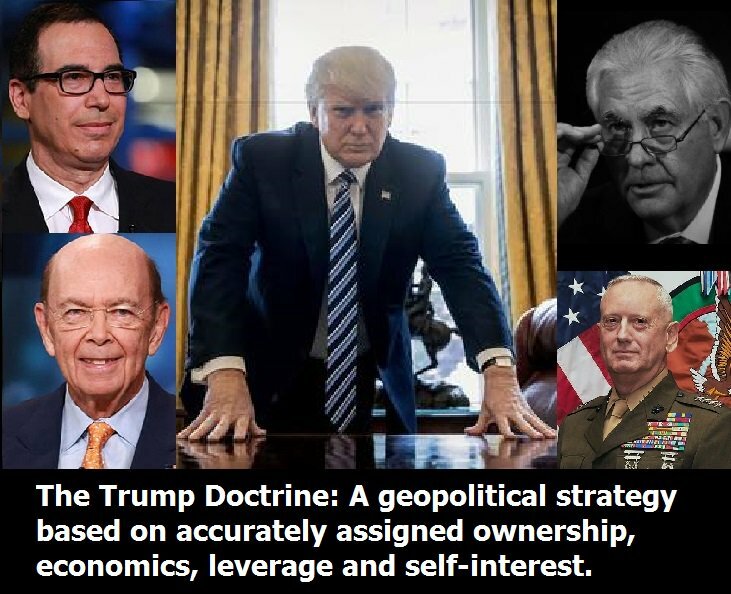 However, when the geopolitical threat stems directly from the enabler, and not the enabled, the Trump Doctrine has a distinctly different & far more encompassing, approach. 7. Route two goes through leveraging regional allies and partners. (TWO THREATS, China and Russia) See ASEAN and India for ¹China; and France, Poland, Baltic States for ²Russia. 8. In each case: China, Russia and Iran, unlike Western media, these powers assemble volumes of research to assist them in understanding the most likely sequence of events President Trump will take. 9. When we say volumes of research, we indeed mean hundreds of people researching and drafting position documents based upon every scintilla of every deal Donald J Trump has engaged in. 10. These states fully understand how President Trump intends to utilize economic leverage toward his next national security focus. As soon as President Trump mentions a strategy for a foe, all international adversaries immediately began road-mapping their defense. One of the more concerning ramifications of China’s recent turn toward a more totalitarian stance at home is what it means for the geopolitical environment in the years ahead. Several people asked in the comment section of Part 1 why I care about what’s going on in China when we have so many serious problems in the U.S. The reason is because a major shift in the polices of the second largest economy in the world, populated with over a billion people and run by leadership intent on establishing a far more dominant position on the world scale militarily and politically, will affect everyone. Government propaganda is one of the most insidious and dangerous things that regularly occurs within human society, and it’s been pervasive in essentially all civilizations to-date. The media’s always a key ally in the dissemination of propaganda, something much of the American public has finally come to understand. The election of Donald Trump despite the U.S media’s unanimous support of Hillary Clinton was the real wakeup call, and has led to incessant calls for platform monopolies like Google and Facebook to censor speech that questions the dominant intelligence agency narratives. There’s nothing more terrifying to an entrenched power structure than a loss of the narrative, and the election of Trump proved to them that they lost it. The American establishment isn’t really afraid of Trump, it’s far more concerned that his election signified a loss of narrative control. Narrative is particularly important to lunatics who run a global empire, and the U.S. media’s almost always happy to oblige. For example, the media’s enthusiasm to swallow government propaganda is what led to the Iraq war disaster, in addition to so many other societal tragedies I write about here on a daily basis. While the marriage between U.S. government propaganda and a complicit corporate media has been a demonstrable danger to the world, we shouldn’t for a moment think American propaganda is the only threat. Other powerful governments use it as well, and China is no exception. I’m sure all of you are aware of the dramatic power play pulled off over the weekend by China’s Communist Party to eliminate term limits for both the president and vice president. Prior to the move, Chinese leaders have stuck to two five-year terms since the presidency of Jiang Zemin (1993-2003), but that’s about to change as wannabe emperor Xi Jinping positions himself as indefinite ruler of the increasingly totalitarian superstate. While the weekend announcement was illuminating enough, I found the panicked reactions by Chinese authorities in the immediate aftermath far more telling. The country’s propagandists took censorship to such an embarrassing level in attempts to portray the decision as widely popular amongst the masses, it merely served to betray that opposite might be true. China Digital Times compiled a fascinating list of words and terms banned from being posted or searched on Weibo. Here’s just a sample of some I found particularly interesting. The Emperor’s Dream (皇帝梦) — The title of a 1947 animated puppet film. 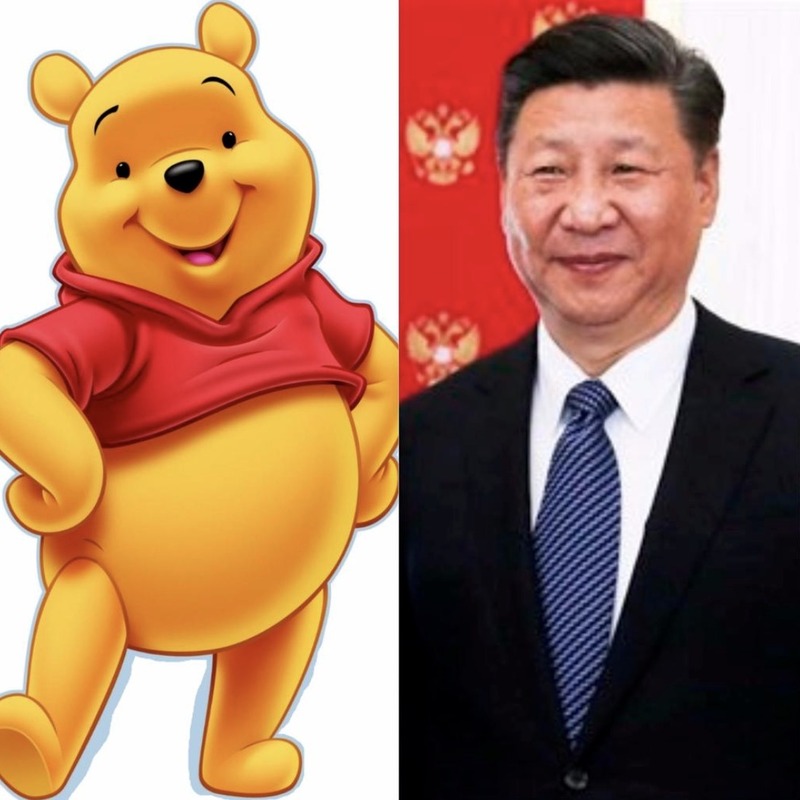 Disney (迪士尼) — See also “Winnie the Pooh,” below. personality cult (个人崇拜) — Read more about the image-crafting campaign that has been steadily cultivated by state media over Xi’s first term. Brave New World (美丽新世界) — See also “1984,” below. Yuan Shikai (袁世凯) — Influential warlord during the late Qing Dynasty, Yuan became the first formal president of the newly established Republic of China in 1912. In 1915, he briefly re-established China as a Confucian monarchy. Hongxian (洪憲) — Reign title of the short-lived, re-established monarchy led by Yuan Shikai, who declared himself the Hongxian Emperor. After much popular disapproval and rebellion, Yuan formally abandoned the empire after 83 days as emperor. emigrate (移民) — Following the news, Baidu searches for the word reportedly saw a massive spike. The full list is far more extensive and ridiculous, but the key point is that such a pathetic and panicked response from government censors highlights government insecurity, not strength. There’s no indication that President Donald Trump’s summit with China’s Xi Jinping achieved any breakthrough on North Korea. But why didn’t it? After all, Trump said that China could “fix” the North Korea problem “easily and quickly” and it was just a matter of Xi’s making up his mind to do so. No less divorced from reality was Trump’s half-hearted pitch on the US trade imbalance with China. The problem, he said, was not the Chinese – whom he complimented on their cleverness in exploiting our stupidity – but on the flaccid policies of prior American administrations. Quite true! But what will he do differently? Not much it seems, except maybe give a big tax cut with no strings attached to fat corporations that are thrilled to keep moving their operations overseas. Global market über alles! And here we all thought Hillary Clinton lost the election . . .
All in all, Trump’s China visit was characterized by putting his “America First!” campaign principles on ice in favor of the globalist agenda of his economic advisers and subordination of trade to the geopolitical concerns of the military Junta that runs his administration for him. Sure, there might some tinkering here and there, like the recent hit against Chinese aluminum foil dumping. But plutocrats worried about a “trade war” with China can sleep easy. On North Korea – the overwhelming US preoccupation at the Trump-Xi summit – Trump came up empty. For months observers have fretted over Trump’s oscillating rhetoric from fire and destruction one day to let’s-make-a-deal the next. He’s his own good cop, bad cop act. China was blessed by two great leaders in the 20th century. Mao Zedong created modern China out of the wreckage of a nation devastated by war, western and Japanese imperialism, ferocious poverty and lack of national spirit. ‘Great Helmsman’ Mao made catastrophic mistakes that killed millions and was dotty at the end, but he put modern China on the path to greatness. Clever, crafty, deeply wise Deng Xiaoping took the inchoate mass of China and laid the groundwork from 1978-1989 for his nation’s miraculous transformation from dire poverty into the world’s second largest economy and newest great power. The only title the great Deng held was Chairman of the Chinese Bridge Association. He didn’t need titles or fanfare: everyone knew he was the boss. Deng urged China to discreetly grow rich and strong while keeping its head down so as not to alarm the outside world. I saw much of this happen from the mid-1970’s when I began exploring China, which was then still in the final stages of the crazy Cultural Revolution. To my wonder, I saw the new city of Shenzhen rise from rice patties into a booming metropolis of 11 million, one of the world’s fastest growing cities. The magical transformation of China continues to leave me awestruck. After Mao and Deng, China’s collective Communist leadership imposed rules limiting party leaders to two five-year terms. The Communist Party heeded philosopher Vilfredo Pareto’s warnings in his ‘circulation of elites’ that to preserve itself, an elite group had to allow new members from below to join. Collective leadership was intended to end or at least lessen the murderous power struggles that, with regionalism and separatism, had cursed China for centuries. “Why would I call China a currency manipulator when they are working with us on the North Korean problem?” tweeted President Donald Trump on Easter Sunday. “America First” thus takes a back seat to big-power diplomacy with Beijing. 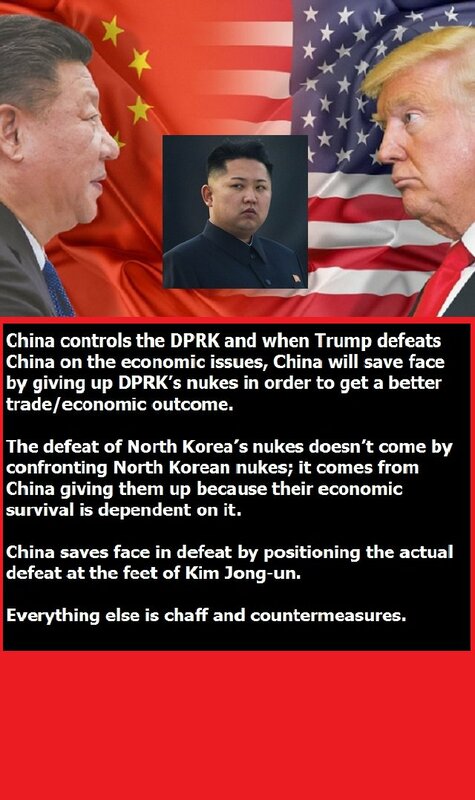 One wonders: How much will Xi end up bilking us for his squeezing of Kim Jong Un? Trump once seemed to understand how America had been taken to the cleaners during and after the Cold War. While allies supported us diplomatically, they piled up huge trade surpluses at our expense and became virtual free-riders off the U.S. defense effort. No nations were more successful at this than South Korea and Japan. Now Xi is playing the game — and perhaps playing Trump. What is the “North Korean problem” Beijing will help solve in return for more indulgent consideration on future U.S.-China trade deals? North Korea’s nuclear arsenal. As 80 percent of Pyongyang’s trade comes through China, Trump believes that Beijing can force Kim to stop testing missiles and atomic bombs before he produces an intercontinental ballistic missile that could hit the U.S. But what is to prevent Xi from pocketing Trump’s concessions and continuing on the strategic course China has long pursued? For in many ways, Pyongyang’s goals parallel China’s. Neither could want an all-out war on the Korean Peninsula. For Kim, this would devastate his country, bring down his regime, and cost him his life. For China, war could mean millions of Koreans crossing the Yalu into Manchuria and a disruption of Beijing’s march to Asian hegemony. It seems that every new US president has to prove his machismo…or make his bones, as wiseguys say…by bombing the usual Arabs. By now, it’s almost a rite of passage. The American public loves it. So we just saw the US launch 59 or 60 $1.5million apiece cruise missiles at a western Syrian airfield to express President Trump’s outrage caused by seeing injured children allegedly caused by a Syrian government toxic gas attack. But what, Mr. President, about all those Iraqi, Syrian and Afghan babies killed by US B-52 and B-1 heavy bombers? Or the destruction of the defiant Iraqi city of Fallujah where the US used forbidden white phosphorus that burns right to the bone? Washington claimed its radar had conclusively identified Syrian warplanes dropping chemical weapons. This sounds to me to be unlikely. Where was the US radar? Hundreds of miles away aboard ships? Was the info from Israel or Turkey, both with axes to grind? Is US radar so sharp that it can tell the difference between a chemical and high explosive bomb at great distance? Sounds highly fishy to me. The cruise missile strike was planned well in advance and the missiles programmed accordingly. This was likely done before the alleged chemical attack. What a hell of a rude act to launch the attack just before China’s leader, Xi Jinping, sat down to dinner with Trump in Palm Beach. This was the most important China-US meeting since President Richard Nixon went to meet Chairman Mao in 1972. What a monumental loss of face for Xi and for China. He was made to look small and irrelevant. Was this planned in advance? Xi should have walked out, gotten onto his plane and returned to China. Couldn’t Trump have waited till Xi’s visit was over, a mere additional day? What was so urgent about bombing a Syrian air base? Do we not think that Russia, China and Iran, all Syria’s ally, will take some negative action? Trump had actually blasted former President Barack Obama for even thinking about attacking Syria…and now here he goes and does the same thing.